It was dark and as I moved home from my office, tension gripped me for my next day office assignments, which takes much of my private time. I had a strong aversion to these tasks which makes me shorten my personal time with concomitant anxiety, tensions and another related phenomenon. This is not a censorious talk based on the fact that I am a workaholic. Understanding this, one day I came across an unknown citizen of this mother Earth selling Tea in one corner of the globe who was equally tensed and with a smiling face managed his ‘own business’. Speaking with this human incognito, I understood, what does it mean to be an Entrepreneur, even though you are in stress, you actually work for your OWN organization or business. I was listening to one entrepreneur a few days back and his struggling tales about small business. Brooding on his unhappy thoughts about job and his stress, he started his own small business based on his inner talent. As per the Global Entrepreneurship Index Rankings, United States of America ranks first followed by Switzerland and Canada. India has to work a lot to infuse the concept of Small Business & Entrepreneurship in millions. It is well known that enterprise is a crucial engine of economic growth and without enterprise and entrepreneurs, there would be less innovations and few new jobs. Instead of getting frustrated in a formidable job and colleagues, it is better to try with one’s entrepreneurship ventures. In my earlier articles, I have described how to get motivated, the importance of 7th house in vedic astrology and also the importance of 1st house in vedic astrology. Today, let us discuss on the 12th house and its long- term effects for establishing yourself as a business human. Among the various houses in a Vedic Horoscope, the 12th house is considered as the house for confinement, secluded places, high expenses, enlightenment, Far away places, lands, asceticism, Hospitals, Imprisonment etc. While many articles in ancient books also states that the 12th house is for wastage, stingy, sole, quietus, Restrictions, Expenses, Extra Marital Affairs, Left Eye etc. Many have a premonition that 12th house is a house which is about expenses, confinement and is not good. To some extent its true, however personally after reading over the years, I understood that this house is one of the most opportune house for reversing one’s bad fortune into opportunities. In a way, entrepreneurship also states the same thing. It’s all about giving a trying and not to sit and lament. The problem is we want immediate gains, which do happen, when we apply for a job and get the salary in the next month. However, as per Elisabeth Kubler Ross, a Swiss American Psychiatrist, the most beautiful people we have known are those who have known defeat, known suffering, known loss and have found their way out of those depths. 12th house in Vedic astrology plays a great part in one’s life and tend to do expense in those areas which the planet of 12th house controls. I have seen in many horoscopes that those having their 12th house lord as Saturn having Aquarius Ascendant are either in non-profits helping people or are political figures based on their interaction with masses. These people however, spends almost their entire money into construction activities due to planet Saturn. Let’s analyse a chart whose 12th house from Ascendant is zodiac Capricorn. The sign Capricorn is a sign which is described as a goat in western astrology and in the Indian tradition it is taken as a crocodile with the face and neck of a deer. Hard work, practicality and prudence are the key words to describe this sign ruled by Lord Saturn. Since 12th Sign is Capricorn and 10th house from Ascendant is Scorpio, its understood that the person may take up a challenging job as detective, CID, Police, Military Intelligence etc. If Planet Mercury sits with Sun in this house of Scorpio, the native may also take up Lectureship as per vedic astrology. So, one may think that the name and fame of the individual will be due to the job and to some extent, it may be true, however, if the human can go forward with helping others by connecting with the masses in various forms, the same person’s name can cross boundaries of districts, states and countries based on the position of Saturn. By the same logic and out of my understanding, I have seen many people becoming World Famous because of 12th house combinations since those are the things which you love to do and like spending on them. Expense means not only financial expense, it also means expense of energy. So, if you have to make your hobby into entrepreneurship, then do expense of energy for the 12th house activities. However, 12th house activities take time and puts forward innumerable challenges and if you can overcome the same, your name and fame crosses boundaries. Type of business can also be determined by exalted planets in ones D1 chart. Any planets which is exalted and is placed in Kendra and in its own house or a friendly house can help in entrepreneurship opportunities. This is also determined by the types of Nakshatras these planets are placed, whether the planets are Ashwini Nakshatra ruled by Ketu, Bharini Nakshatra ruled by Venus, Krittika Nakshatra ruled by Sun, Rohini Nakshatra ruled by Moon, Mrigasira Nakshatra ruled by Mars, Ardra Nakshatra ruled by Rahu, Punarvasu Nakshatra ruled by Jupiter, Pushya Nakshtar ruled by Saturn, Ashlesha Nakshtara ruled by Mercury, Magha Nakshatra ruled by Ketu, Purva Phalguni Nakshatra ruled by Venus, Uttara Phalguni Nakshatra ruled by Sun, Hasta Nakshatra ruled by Moon, Chitra Nakshatra ruled by Mars, Swati Nakshtara ruled by Rahu, Vishakha Nakshatra ruled by Jupiter, Anuradha Nakshatra ruled by Saturn, Jyestha Nakshatra ruled by Mercury, Mula Nakshatra ruled by Ketu, Purva Ashadha Nakshatra ruled by Venus, Uttara Ashadha ruled by Sun, Abhijit Nakshatra which is from 6 degree 40 minutes to 10 degree to 53 minutes in Capricorn, Shravana Nakshatra ruled by Moon, Dhanishta nakshatra ruled by Mars, shatabhishek Nakshatra ruled by Rahu, Purva Bhadra Nakshatra ruled by Jupiter, Uttara Bhadra Nakshatra ruled by Saturn and Revati Nakshatra ruled by Mercury. Let’s take another example of a writer who wrote on fantasy world and her books crossed borders. She struggled in her initial years to publish her book and no publisher wanted to publish the same from an unknown writer. Once the first book got published, her name and fame spread across countries with Hollywood movies made on her book. Let’s analyse the Vedic Horoscope chart, which I obtained from one of the astrological websites. From the above chart it is observed that her ascendant is Libra and the 12th house from Lagna/Ascendant is is Mercury which is sitting in her 11th house of Leo along with the Moon. The planet of finances is situated in the 12th house of Mercury which also meant that apart from writing, she may have to lose her immediate family. Lets now focus only on her own venture that is ‘Writing Entrepreneurship’ and that is the 12th house. Mercury rules her 12th house and with Mars sitting on the same, she will be prone to writing, but writing under challenges from her own family. She has to meet the challenge which can be emotional and yet focus out of great challenges to go on with her writings/communication skills. Finally successful, she established her name and fame as a writer. Now look at the 5th house from the ascendant, here planet Saturn is placed in the same sign of creativity, which states that are writings will be a treasure for the masses. That’s what happened with her. When I was in Bangalore, India, I have seen in Newspaper reports that people were standing from 4 am to get the first copy of her book. Well, all these were not done in a day specially with the 12th house, which brings enormous challenges and obstacles, which ultimately leads to great success. So, spend some time with your hobby and inner talent as per your 12th house and one can start doing entrepreneurship on the same to move forward in life. When you focus on the 12th house, remember a quotation from Dita Von Teese, an famous Dancer that Some Days are just bad days, that’s all. You have to Experience sadness to know happiness and I remind myself that not everyday is going to be a good day, that’s just the way it is! Entrepreneurship or doing your own business is a wonderful thing as the society can meet many of their needs through wonderful innovations which you made and the world will remember you for the wonderful contributions you did for your future generations. I am writing a book on Entrepreneurship and Astrology and if you like reading my articles please send your support and best wishes. For consultations, please check the consultations column at my website page. I look forward to your valuable comments. In the Cosmic Sky, there will be a major transition and on 7th March, 2019 the North Node of the Moon is transiting to the Zodiac sign Gemini. However, as per calculations, the North Node of the Moon, the astrological planet Rahu is scheduled to transit from 23 March, 2019 at 1.17 pm as per some astrologers. This being a major transit after almost one year 8 months, it is likely to influence all of us in various ways. The zodiac sign Gemini has two and one fourth nakshatras. It may be noted that these Nakshatras represent the mind, the higher or lower energies and uncertainties. So, what will happen when the north node of the Moon will transit into the Punarvasu Nakshatra during this period? It is to be noted that Purnavasu Nakshatra is ruled by the astrological planet Jupiter. For the next one year and eight months, the astrological planet Rahu will transit through the Nakshatras Punarvasu, Ardra and Mrigasira. Now as this karmic planet moves forward, there will be various happenings as per Business and Entrepreneurship is concerned. While Punarvasu is ruled by the planet Jupiter, the other Nakshatras like Ardra and Mrigasira is ruled by planet Rahu and Mars respectively. Hence in the Gemini Zodiac sign as per the timing of the events, a lot of communications, ups and downs will be seen in various sectors, where the planet Rahu will transit. Aviation sector is also likely to get a boost during this time. The North Node of the Moon is comfortable in the 3rd pada of Purnavasu Nakshatra and it will be empowered to provide intelligence to Zodiac sign Gemini. Here the astrological planet Rahu will work as thinker and analyst. When this planet transits to the second pada of the Purnvasu Nakshatra i.e from 23 degree 20 seconds to 26 degree 40 seconds, astrological planet Rahu will be at its best and will act like an exalted planet. The North Node of the moon is likely to bless the following business during this time. Philosophical writings get a boost. Opposition Political Parties forms new alliances, based on constructive thinking. As days pass, I will write new articles based on this transit and if you like reading this article; I look forward to your comments. The entire analysis and prediction is based on Vedic Astrology and based on the transit of the North and South Node of the Moon. This is a general prediction and individual business and entrepreneurship opportunities will entirely depend on one’s personal horoscope. In 2019, there is going to be major astrological planetary transit of the north node of the Moon Rahu and south node of the moon: Ketu from 7th March, 2019. This is a major transit as the astrological planet Rahu will now move to Mercury sign Gemini. Planet Rahu as mentioned earlier is a shadowy karmic planet which enhances the sign in which it is positioned. Astrological planet Ketu mimics like Jupiter and Mars and hence will bring the energy of Mars in the Sagittarius Sign. By this, the sign Sagittarius which is a warrior sign will become fierce. In the world, this transit will provide a boost to the stock market, while Rahu’s negative energy will lead to much disturbance in terms of ups and downs in the profit and loss of Industries. There will be a lot of communication, which is likely to take place during this time. However, for countries where, Rahu enters the 12th sign from Ascendant will lead to communications which is likely to be misleading. However, for some countries as per my own astrological analysis, planet Rahu is likely to enter the tenth house, for example US, Saudi Arabia etc for which there will be growth and all around development in the field of communication, over-all health of Industries, increase in exports, trade amongst nations. Economy of Russia is not going to be benefit much from this movement of planets; however, there will be more and more new findings of oil and natural gas basins, which can lead to good revenue. Even in Aerospace the country is going to make new innovations. Hence, this transit is likely to foster trade amongst the nations. However, placement of Ketu in Sagittarius may lead to some internal conflicts. For India, the planet Rahu as per my analysis will enter its second house, which may lead to focus on wealth generation. Food, Restaurants, Travelling, Consulting Industries etc are scheduled to grow during this time in this sub-continent. India’s GDP is also scheduled to rise during this time period. However, for India, 8th house Ketu transit may lead to some major sudden happenings. Chances are there that opposition parties are likely to get momentum due to this transit and there may be wide spread agitation across the nation because of planet Ketu in the warrior sign of Sagittarius. So, it’s quite clear that investments in business need to be made carefully during the transit based on the owner’s individual horoscope as everyone of us is going to be in affected in a different ways. The dreaded astrological planet Rahu has always been shuddering many for sudden mis-happenings. The planet Rahu has a fearful look, dark in complexion and its body has a serpent appearance, which indicates tamasic nature. Planet Rahu’s vehicle is a lion. This astrological planet acts like Planet Saturn and is the cause of suddenness in any event. This planet is friendly to the Mercury, Venus and Saturn. This astrological planet is neutral to Jupiter and is enemy are astrological planets like Sun, Moon and Mars. Planet Rahu is the karaka of the following factors like: innovations, inventions, gambling, any form of revolution, any form of social and political movements, snake bites, tumours in the body (if malefic with Jupiter). Hence from the Karaka, it is well understood that this planet Rahu represents some of the few known diseases like cancer, mental disturbances, hallucinations, illusions etc. It is also related to hiccups and pain in the body and it’s the karaka of very old age. If planet Rahu is afflicted with the planet Sun, then it may cause heart trouble. Planet Rahu also causes leprosy and also results in pain or injury in the feet. Planet Rahu’s direction is south west and signifies wild tribes. However, Rahu generally means foreign connections and is significant of non-hindus and Buddhism. If Rahu is well positioned in one’s chart, one will do air travel and it also denotes paternal grandfather and maternal grandmother. Planet Rahu combination with planet Sun tend to have an adverse effect and it takes from the native one’s energy and hence the native incline to face obstruction from Government, fatherly figure etc. However, if Rahu is well placed in the house in a friendly nakshatra, the effects will reverse. After a certain age for planet Sun and Rahu combination, planet Sun comes out of the effect of Rahu and hence provides good results after the age of 30-31 years. If the planet Rahu is in combination with planet Moon, then planet Rahu either increases the quality of the Moon or it darkens the planet Moon based on this combination. Moon signifies mind and also water. Hence, this person will have a tendency to be near water or will tend to use more water than any other normal person. Combination of planet Rahu with Mars is very high energy. This combination brings with it the negative energy of revenge, the urge to push forward one-self to the extremes. Natives with this combination should keep patience, have faith in the almighty and do things which can help others. But then the question lies as what is this astrological planet Rahu? Is it just a malefic or benefic planet or it is more about matters which is larger than life? Planet Rahu is an astrological planet which is also a karmic planet. The position where Rahu is placed is the native’s karma for this birth. So, the individual tend to focus on factors where Rahu and its dispositor sits. About 180 degrees from the planet Rahu is the spiritual planet Ketu and generally it is seen that people goes to that unknown area, where planet Rahu is placed as per the house it represents and when one gets depressed or frustrated, the individual takes the help of the spiritual planet Ketu. So, for some days, the individual lives with planet Ketu and its significance and then again jumps to the area where Rahu is placed. Hence a native will perform or do things or feel pride in possessions which is governed by planet Rahu. That’s the beauty of this innovative creative planet Rahu. A well-placed Rahu makes one’s mind scientific and innovative. Many big innovations in the world has happened due to planet Rahu. So, if Rahu is placed in the sign of Gemini or Virgo and is a friend to the ascendant, then the native can be a great innovator. One of the interesting features of the planet Rahu is that, if it is in relation to any planet, it increases or magnifies the effect of the planet, however, it also passes on its negative impacts to that planet and hence such a planet will be beneficial or may have some adverse effects during its major or sub-period. It is also to be noted that if all planets are between the planet Rahu and Ketu, then Kal Sarpa Yoga is said to be formed. Also, according to some astrologers, if Rahu is positioned in the sixth house, then also Kal Sarpa Yoga is formed. There will be times when a particular type of combination will result in a raj yoga and if planet Rahu is said to be connected with this combination, the Raj Yoga will be bestowed by astrological planet Rahu. It is also to be analysed that astrological planet Rahu is the planet for suddenness and hence anywhere in a horoscope this planet is placed, this will give rise to suddenness in those parameters which are governed by that particular astrological house. Entrepreneurship and Business Astrology are the keys to greater success where one can be one’s own boss. Small Business and Entrepreneurship are one of the solutions to unemployment these days. The views expressed in the video is a general prediction and are my personal views which may not match with astrologers or others. While Destiny is hard work and luck, we wish everyone great success in one’s good endeavours. The above video article is based on my experience of reading astrology subject and looking into the practicalities of the situation based on horoscope analysis for all these years. These days there is a debate amongst us regarding machines and human. While it was the legendary Karl Marx who once said that “The machine, which is the starting-point of the industrial revolution, replaces the worker, who handles a single tool, by a mechanism operating with a number of similar tools and set in motion by a single motive power, whatever the form of that power. Here we have the machine, but in its first role as a simple element in production by machinery.” As we write, we find that machines are doing the job of low skilled labour force and Business need high skilled work force to maintain the criticality. So, though job market has been decreasing in Europe, the same is increasing in the Asian Region. However, it has been observed that innovation has transformed living standards as Life expectancy has gone up; basic health care and education are widespread; and most people have seen their incomes rise, as per the World Development Report 2019. So, do we have enough jobs for the huge population of the World? That’s the question that needs an answer as I am trying to find out if this response can be entrepreneurship. Many of us goes into depression & frustration because either our job does not provide our expectations or are not able to provide us the right scopes or opportunities. With limited possibilities and huge competition, one need to harness one’s inner talent and skills to gift something beautiful to the world in the form of entrepreneurship or small business. As, I researched on this subject and after analysis found out that to be a successful entrepreneur one need to make ones third house (from ascendant) strong. This house leads to inner efforts, allows one to take major initiatives, foster new ideas, infuses hopes to conquer one’s dream. It’s also true that not everyone’s third house from ascendant as per Vedic astrology will be strong or may be influenced by malefic planets but if you really want to make it a success, one need to make this house sturdier. If the third house lord is situated in Capricorn for libra ascendant, then it is clear that the third house lord is debilitated in the Lagna (Ascendant) or D1 chart, which will reduce the inner motivation process in an individual. But does that mean that the individual never can bath in the success of glory in entrepreneurship? The answer is negative as everyone can become an entrepreneur if we take advice from this astrological planet and the materials it represents. So, the more you gain knowledge, be in touch with well-informed persons, the more you become enlightened to add strength to your debilitated Jupiter. Personally, I believe that everything is possible in the world and every problem has a solution, it’s just how you look at it. Entrepreneurship is achieved through various combinations and one amongst them is, if the third lord is positioned in the tenth house or the eleventh house, the native tends to become an entrepreneur. With ideas flowing, this native can become leader of one’s own finances. However, it also needs to be seen, whether the third lord has strength in the tenth or eleventh house or it is afflicted by any other malefic planets like the karmic planets lord Rahu and lord Ketu. Friendly signs and well positioned third house planets create opportunities through Ideas and when one works on one’s own idea, wonders start happening! Depending upon which planets rules your third house, your dreams, ambitions, visions of your future are shaped. However, Nakshatras also play a very important role in one’s dreams and shaping one’s career. By that means, I mean to say that Lord Moon and its connection with the third house lord also determine inner wishes on the type of entrepreneurship. From the Vedic horoscope chart as received from the web, we can observe that this gentleman had his third house as libra, which makes him very honest in his endeavours and is the lover of beautiful things in the world. With exalted 7th lord Saturn in the 3rd house encourages him to gift something beautiful to the world. Now, if you observe carefully then you will find that Astrological Planet Venus is situated with planet Rahu and hence the power of Venus enhances significantly in the house of creativity i.e 5th house from the ascendant, which resulted in creation of the first keyless phone in the world. Again, as I mentioned earlier that if there is a connection between the house of fame, name of profession i.e the tenth house with 3rd house, it creates an entrepreneur. If you look at the Vedic horoscope, you can find that the tenth lord and the third lord is same and is sitting in the fifth house of creativity, which resulted in creation of one of the greatest designers & innovators of the World: Mr. Steve Jobs. Entrepreneurship may or may not be a challenge and I have a piece of advice to my readers to strengthen your third house, which will ultimately help you to perform in business. Wish you all the best in your entrepreneurship and business endeavours. It has been long since I had written by last article and today as I write, let me focus on Lord Sun and its transit to Scorpio Zodiac on 16th November, 2018. Lord Sun will remain in this zodiac till 16th December, 2018. The zodiac of Scorpio is a Watery Sign but denotes rough deep water and is the reason for understanding anything deep and profound. Astrological Lord Sun lights up the darkness and one may experience revelations on unknown facts. As Lord Sun lights up the entire zodiac of Scorpio, this also heats up the Zodiac sign signifying water element, which leads to dryness. This sets up the winter season. So, one need to drink more of water. Scorpio represents transformation as it is the original sign of death, re-birth, surgeries, inheritance, sudden lottery wining, occult or secret knowledge, confidential information, underground elements like gems, mining, oil etc. These people love to go into the abyss of any subject. If someone has Lord Sun in this zodiac Scorpio, then one can expect that the native’s father may be secretive, understanding, loves to go deep into any subjects, may have business in the oil and gas sector etc. Transit of Lord Sun will help chemists, physicians, surgeon and dentists. Hence these profession people may get acknowledgement. Also, this traverse will help people who are into debate, orator ship, artist or poetry. Libra zodiac: These natives will focus more on income and may have some disagreements with one’s spouse. Scorpio zodiac: These natives will observe life in a newer light. If the native was searching for inner truths or was into research, this is the time to sound eureka. Sagittarius zodiac: These natives may undergo expenses for one’s senior members of the family or one’s father or fatherly figure. However, this transit may make one learn about spirituality in a new way. Capricorn zodiac: These natives may buy new things or products and the gift may be provided through one’s father or father like figure. If one is into Government, then gains may be obtained from Government. Aquarius Zodiac: These natives may get some relief in the job aspect and can get promotions if appraisals are going on. Since Sun enters into Scorpio zodiac, Lord Sun placement in the Mars sign may add some joys in the working area with added importance. 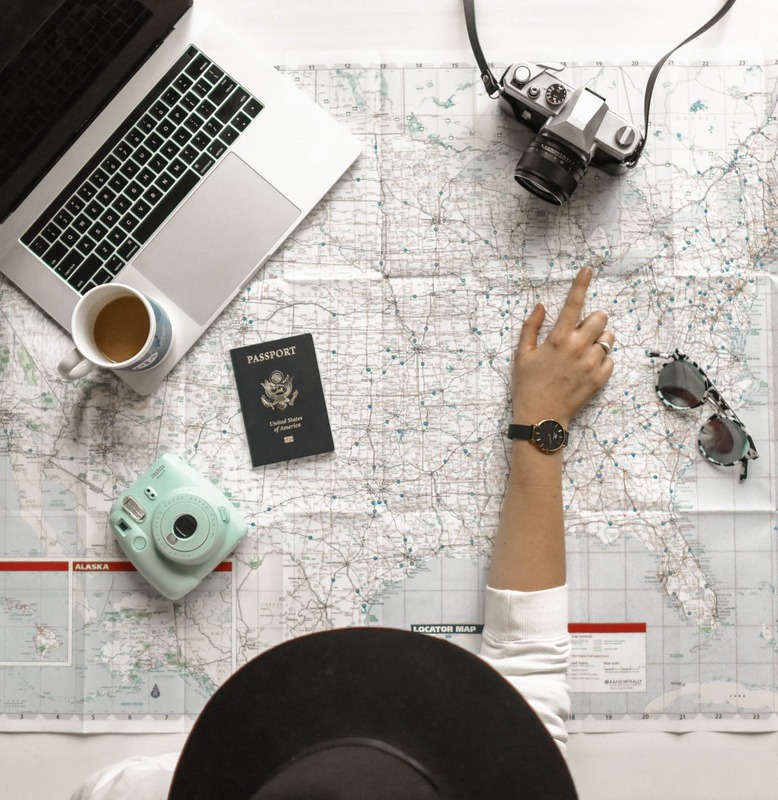 Pisces Zodiac: These natives may be interested in travel to the eastern part of the nation and may get some good news from their father. There may be some sort of promotion of elder siblings. Aries Zodiac: These natives will now suddenly get light in darkness. They may see through things which were difficult for them to handle days back. Aries zodiac sign natives are likely to be guided by a fatherly figure during this time. Taurus Zodiac: These natives may be receiving good business opportunities for their dealings with the outside world. Sun lights up the entire area of Scorpio and due to this combination Taurus Zodiac may be able to solve their family problems. However, there are chances that the spouse may fall ill.
Gemini zodiac: These natives need to be careful about their health and may have to change their diet plans. However, for a woman, the spouse may remain agitated during these times. One should also have a check into the triglycerides and cholesterol levels. Cancer zodiac: These natives may try to do things related to creativity and chances are there, that their children may get recognition. Leo zodiac: These natives may experience some new event happening in their home. People are expected to pay visit and since Mars signifies younger brother, so they may receive guests in relation to that. Virgo zodiac: These natives may receive sudden strengths in their efforts and may try to be in the world to get the materials they dreamt of. A wish to join larger organizations may now materialize. This analysis is based only on the transit of Lord Sun in Scorpio and is a general prediction. Detailed analysis of any situation is done based on dispositor of Lord Sun, its placement, the dasha undergone, the astakvarga of the planets, the strengths of the planets, the combination of the planets, the aspects etc. In my previous article (number 50), I have described about the astrological direct movement of Lord Saturn and the events that are likely to take place in physical plane with some sectors after September 6, 2018 till December 31, 2019. As per vedic astrology, Lord Saturn is now moving into direct motion in the Sagittarius sign and is providing its seventh aspect on the 7th sign from Sagittarius zodiac sign during its movement i.e Gemini. In Vedic astrology, these has a very wide impact as now some sectors need to work more for their existence with challenges from Administration. During this time, sectors like social networking technology need to come clean. There is likely to be ups and downs during this transit which will continue till December, 31st, 2019. This being a crucial phase, all decisions at the highest offices need to be calculated with pros and cons. Above all, I personally feel that the organizations need to be VERY HONEST in their approaches. Aspect of Lord Saturn will amount to certain losses in terms of reputation and finances for these sectors. However, position of astrological planet mars in the Capricorn Zodiac will provide energy to fight back. The main aspect of this transit is likely to be malefic for social networking companies which deals with the masses. Planet Saturn rules masses and its 7th aspect will provide opportunities for more and more Mass Leaders to ask questions about the ways these platforms perform. However, not all Industries have to go through these phases, but it will be mostly with those sectors which has direct links with the population in general. Alternatively, you may notice growth for IT companies who are into programming. Now, question might arise that are we as an Individual would be affected in a good or bad way. In my earlier articles, I have mentioned that this might cause losses of money for Taurus Ascendant natives. Sun movement in virgo, with aspect from Lord Saturn will lead to new recruitment in the IT Higher Management Sector. The positive side of these transits is that, this will open up new opportunities for re-looking, restructuring the entire team and reinventing methods for future, so as to make the business sustainable for social business. It is observed that the global population of entrepreneurs is growing rapidly. The more the job market is reducing its opportunities; the more it is giving way to small business. Small and Medium business opportunities is not going to slow down in the coming days and years. Each day, more and more people are pausing their monotonous traipse of working for someone and are moving towards doing something on their own. It has been rightly said that ‘it’s a career that’s growing in popularity’. Research on astrology can find the answers to the type of business and the areas of entrepreneurship, one should focus on. My analysis suggests that one should do entrepreneurship on a subject of passion. So, does astrology support this theory? Vedic Astrology can help in determining the type of small business/entrepreneurship/start-ups one could venture in for better results. It is often seen that astrological vedic horoscopes which has the strongest astrological planets instigate an individual to rush into those sectors with possible collaborations for a new business venture. Have you observed in your life, that you like a particular sectors/field of life and love to read about the same without getting bored? This generally happens when a specific astrological planet in your astrological horoscope has strength to pursue the segment. A lot of humans in the world want to be a great publisher and have inner quality, but never pursued! After many years when they finally think of publishing, it is too late to start. Over the years and studying hundreds of vedic charts, I have understood that any form of small business or entrepreneurship will not provide you immediate results. It needs time and the span can be of two years or more. Many have tried persistently for over five years and have finally succeeded in getting a good client base. Hence, every good thing in the world needs time and persistent efforts. Vedic astrology has the ability to provide suggestion in understanding the timing of the event, when you need to make that extra effort, backed by the celestial astrological planets to push your start-up to great success. In vedic astrology, there are however different astrological houses for business, income, financial benefits from job, regular days of your office work etc, but if you have an exalted or strong planet, the same planet has the ability to provide you name and fame for your business, which will ultimately lead to profits. Many a times start-ups decision is taken based on other person’s success, which again brings great challenges. It is a result, where one should have tried a particular life-path for business, based upon the strong planet. In this article let us discuss about sectors, based on the strength of planets in general (this is a general view not considering any aspects on the astrological planets and not considering other divisional charts like D9 and D10). In the event, you have a strong Sun in your vedic horoscope, it is observed that this planet provides you with excellent opportunity on leadership. Sun generally indicates government service, physics, insurance sector, mathematical domain, political science, astronomy, ayurveda, government, judge, magistrates, rulers, jewellers, financials, administrative jobs etc. Now, having a strong astrological planet Sun means business may be taken up on Knowledge or Education Sector, Alternate form of medicine sector, Insurance Sector, Gold and Copper Business, Research or Consultancy on Political Science, Social Sector, Spiritual Sector etc. If you have a strong astrological planet Mercury, it is observed that this astrological planet will help you in great communication and will also make you interested about food that is prepared in fire. So, if a native has a strong astrological planet Mercury than chances are there that the native have special likings on doing entrepreneurship on Media, News, Restaurants, Food sector, publishing sector, telephone and application building sector for mobile phones etc. If you have a strong astrological planet Jupiter, it is observed that this planet helps one to pursue business related to motivation, philosophy, studies, knowledge, expansion, finances etc. Now when one starts an entrepreneurship ventures on these things or sectors, it may do wonders. Strong Jupiter will bestow wisdom to go through the challenges and move on. It’s a great opportunity to make small business or large business in the education sector, banking sector, financial investments etc. If you have a strong astrological planet Mars in your vedic horoscope, then it is observed that these people will have excess energy to move on and entrepreneurship opportunities may be tried for law and order, defence, sports, daily exercises etc. Many entrepreneurs are making application or hardware for exercises to keep one’s body fit. Not only that, astrological planet Mars will support one with medical business. There are many businesses in the world which are on healthcare and medical sciences and those people having a strong astrological planet Mars, do great in their efforts. If you have a strong astrological planet Saturn, it is observed that these people will deal with things, which need hard work and are very disciplined. These people will like to do entrepreneurship in administration related business, social causes, steel and iron industry, mining sector, foods which are cold and deal with refrigeration etc. Some of these people will have great interests in pursing business in photography. If you have a strong astrological planet Moon, you will be a great creator. The planet Moon helps in creativity, arts and crafts and connection with the masses. Do you like arts, crafts and paintings and have an inner wish to do the same on your own? Perhaps you may have an artist inside you which can come out, if you pursue your inner talent. People having a strong moon do make applications on their mobile phones related to water, social causes as moon supports emotions and moon can help in sectors of psychology too. Astrological Planet Venus is related to beauty and high-end products. If you have a strong astrological planet Venus in your horoscope, this astrological planet will help in doing entrepreneurship on vehicles, perfumes, fragrances, dress, fashion designing etc. Personally, I have observed that if you have a well-placed Venus, an individual can also get success in entrepreneurship on jewellery and gift business. If you have a well-positioned astrological planet Rahu, then you are a great innovator. You love to do entrepreneurship on innovations and things related to fantasy world, writings, fictions, make applications which will involve masses etc. This planet is a great astrological planet, which supports new experiments, ideas and hence entrepreneurs with a well-positioned Rahu will do great in small business for generating ideas. Silver Screen and photography are another two options, which can give great dividends to budding entrepreneurs. If you have a well-positioned astrological planet Ketu, then you are spiritual person and entrepreneurship on spiritual and ancient knowledge will be a great opportunity for you. Having said this, I feel that everyone of us can be a great business man and entrepreneur, if only we have the vision to see. Once we can understand the sector in which we are good at, we can explore opportunities. It was said that the world is full of opportunities and if we have the courage to pursue our dreams and constantly motivate ourselves, everything is possible. Throughout the world, there is exceptional suffering by humans due to a deadly disease called Cancer. In many countries Cancer causes the highest number of deaths, second to cardio-vascular diseases. This disease has now become a house-hold phenomenon and with less cure and people who recovered again, gets back the disease sometimes. Early detection leads to a cure from this disease. As per World Health Organization, about 8.8 million people worldwide died from cancer in 2015. That is nearly 1 in 6 of all global deaths. It is stated that around US$1.16 trillion is the estimated total annual economic cost of cancer in 2010. I was trying to analysis from my knowledge as what are main factors which can lead to Cancer and can any solutions be done to prevent Cancer with the help of Vedic Astrology. After analyzing I found out that Cancer disease is an outgrowth of cells in a very rapid way and that’s due to multiplication of cells and this has connection with the planet Rahu and also Jupiter. The Planet Jupiter is all about expansion in a good way and if we speak about cells in one’s body, which if starts multiplying swiftly, may lead to serious health problem. For Cancer Ascendant and Libra Ascendant, the planet Jupiter is the lord of the 6th House and now consider a case, wherein these planets sit in the Ascendant with astrological planet Rahu, it is a concern as Rahu is likely to blow up things in a rapid way and sitting with the 6th Lord Jupiter; the planet for expansion, may lead to Cancer. The disease may also take place when 6th Lord is placed with Planet Rahu, Ketu or Saturn in 8th House, which also shows serious trouble with one’s health. 8th house is for long term diseases and connection with 6th lord in 8th house with planet Rahu or planet Saturn may be another cause for concern. Cancer type of diseases are also caused when 12th lord goes to the 8th house. Since 12th lord is also for terminal illness, its going to the 8th house means long term diseases. Apart from these there are several factors which gives rise to different types of chronic diseases and illness. But the question is how can one get relief and feel better based on this cosmic science. I am trying to analyze it in my research and remedial solutions may depend on the planets which are creating this negative yoga in the horoscope. Another form of Karma dissolve is to help other people suffering from the same disease. That helps, if done with a pure heart. Reading spiritual scriptures and having proper diet is a key to reduce the impact of long term diseases. Keep yourself healthy, stay fit & smile a lot. We live in the 21st century, where we have several issues which hinders human development, one amongst is population. This increase in population have led to competition in food, water, housing and so many other human dependencies. We exploit resources from Mother Earth and our Nature stabilizes herself through earthquakes, flood, drought, tornadoes, cyclones etc. These lead to depleting natural resources, increasing demand for food, clothes and water. There is now reduction of fresh water in the whole world and we have to innovate new technologies to find effective solutions. Such is the time, when Artificial Intelligence is taking over as another option to face human challenges. All these means that we no longer are able to face human challenges through our old ways. That has now opened up the scope for huge number of start-ups in the world. Large number of Start-up companies have flourished to provide immediate solutions to the new as well as old emerging problems. The question lies can Vedic astrology help in understanding the way forward for opening or initiation of a start-up. Let’s discuss on Vedic Astrology to understand if astrological planets can help in understanding Start-ups. Before analyzing a Vedic chart lets first see which are the major planets in a horoscope which is influencing the individual. In the event that the individual has a very strong Moon, the native will love to take up creative ideas and may love to do a start-up on an artistic field, something to do with the masses, things related with water or something which will help ladies of an older age. Every person’s vedic chart may have a single planet which is positive and that’s the planet which makes the individual strong in related domains. So, as the third house motivates and the key planet stimulate you to perform, it’s time to see the world in a new way & fight life’s challenges in order to succeed in YOUR OWN start-ups. Life throws different forms of struggles and it’s upto us as to how we can move forward. When you feel depressed, it’s the 3rd house (the so-called bad house, as termed by many) shows one dreams to achieve and with the help of the strong planet, one does things which no one has ever thought before. Yes, every good thing takes time and nothing happens in a day, if not the great planet Rahu comes to your aid and makes you world famous. However, it’s a fact that all excellencies happen due to your constant effort. Let’s take the example of planet Mercury, the planet of communication, intelligence, speech etc which encourages you to find innovative solutions, new ideas to make things happen. These people are great thinkers and generate ideas which can change the world for better. So, if you have a very strong Mercury, you are great in stocks, trade, exports, restaurant business, food photography (if planet Rahu is also strong), analysts, thinker, writer and very good at handling Media and communication. The world can hear you and start-ups in related fields can do wonders. Natives having a strong Jupiter are knowledge hubs in themselves. They are great listeners and are one of the best motivational speakers. Anyone who comes in contact with persons having strong Jupiter goes back enlightened. That’s the energy which moves with the natives. The world is thankful to these individuals who throws light and optimism even in gloomy environments. Start-ups in education business, knowledge related sectors, publishing etc can bring glory to the individual. I believe personally that everyone has the ability to succeed provided you do the things which you love to do and do not compete with others, since the other person’s zodiac is completely different from you. Have faith in yourself, pass some great storms with the help of your third house, remain motivated and finally you have a tale to tell others as a LEGEND; who was unstoppable. Thanks for stopping by this vedic astrology website and let’s join hands for a better world for us as well as for our future generations. Stay Happy, read more, remain Happy and smile a lot. India need to try hard to get things happen in the world. India need to push its agenda before the world communities to come out in flying colours. So, after much efforts, India will succeed to get through. As per the vedic horoscope of India, the astrological planets Rahu and Ketu will obstruct, due to Kal Sarpa Yoga but with constant effort India can break the Ice. So, Leaders from India need to move out and spread their voice to be heard by the world. Any new system or ideas in India is likely to take time for implementation and to be accepted by the people. In the horoscope of India, the planets Sun, Moon, Venus and Saturn are placed in Cancer zodiac, which is the third house from Ascendant. So, being cancer sign, sentiments are very high here in India. Whenever there are emotions, the whole country will get sudden motivation and inspiration as One Nation and that’s when the Nation will stand together. The 7th Lord is in 2nd House and that explains the reason, why India is a huge opportunity for Business and Entrepreneurship. Astrological Planet Ketu exalted in the seventh house says that India will be a land of opportunities for business as well as spiritual activities. However, with Saturn turning direct from September 2018, India may face financial problems and challenges. Besides, Mars and Saturn confrontation may make people impatient, which may be reduced through effective soft communications. The dairy sector, milk, water Industries etc are going to get a boost after September, 2018. Very soon after October, 2018 onward, India is likely to witness major boost in Business and Entrepreneurship. With this We wish my readers of India a very Happy Independence Day. As per the Global Entrepreneurship Index Rankings, United States of America, ranks first followed by Switzerland and Canada. India has to work a lot to infuse the concept of Small Business & Entrepreneurship in millions. It is well known that enterprise is a crucial engine of economic growth and without enterprise and entrepreneurs, there would be less innovations and few new jobs. Instead of getting frustrated in a formidable job and colleagues, it is better to try with one’s entrepreneurship ventures. So, one may think that the name and fame of the individual will be due to the job and to some extent, it may be true, however, if the human can go forward with helping others in politics or connecting with the masses in various forms, the same person’s name can cross boundaries of districts, states and countries based on the position of Saturn. I was once travelling on flight for a meeting at Switzerland and on board, I met a fellow passenger who was in a melancholy mood. As the pilot announced for take-off, I was keeping a key interest on my fellow passenger since I was sitting on an Aisle seat and he was sitting at the window side. Just wanted to spend time, I thought of asking the gentleman as to which country He is travelling as we headed towards Zurich Airport. It was a stormy weather and We can feel the air turbulence as my fellow passenger sat in a sad temper. He replied that he is travelling to Canada for work and that he does not know when he will come back home. Many people like him leave their homes and go to far off place for service. Well, to me it may not be necessary for one to travel that far, across one side of the earth for service. You can be the owner of your own business and can earn more than service. Well a service or job contract is just an assignment for getting money and working on other’s people’s dreams. Some may differ but most will agree that in service, one does not have freedom to do things in one’s own way. Business or any type of Entrepreneurship, using your hidden talents is the opportune investments one can do to yield success and glory. That is the reason, I repeatedly write about this subject, because wherever I went throughout the world, I see suffering and pain due to frustrations and depressions in service related jobs. Unemployment and competing again and again on just one service/job seat is sad and satisfactory for the person who gets through. The question that often comes to my mind is why there is so much competition? Why we need to replicate the things, which you may not like? Duplication and Competition does not lead to good things in life and frustrations leads to depression. You are best of the best through your god-gifted talents acquired through the transition of the soul. 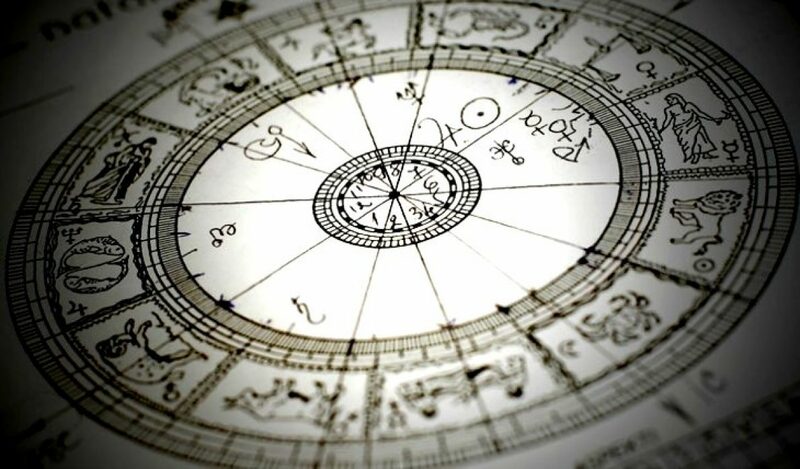 Your Astrology chart supports you through motivation i.e 3rd house, 5th house i.e through creativity, 7th house i.e through business partnerships, 10th house i.e understanding your comforts in business set-ups and 1st house i.e through which you can involve yourself and your soul to do things, which your life wants. That’s the beauty of Vedic Astrology, which says many things about you and your birth. See, everyone of us have these houses in a Vedic chart and that does not mean that we can not do Entrepreneurship. Some may have greater challenges due to difficult planetary positions of the 2nd house and 7th house, but no doubt your 3rd house from ascendant will lead and encourage you to success in the long run. If there is no struggle, there is no story to tell and a story crosses continent, when you establish your entrepreneurship ventures facing challenges. Coming back to Astrology, lets analysis as to how your 7th house affects your business. Your 7th house holds the key to business and partnership and 1st house is 7th from the 7th house, so, the business type is understood from the 1st house. Let’s take an example, suppose one’s 7th house is Aries Sign for the Libra Ascendant, do that mean that the 7th house Fiery Mars will lead to entrepreneurship on subjects of fire & safety goods, however, if you analyse the chart, one can find that the native will have exceptional qualities to talk fiery speeches for motivation. That’s a great opportunity for business as a Motivational Speaker. The native can write on Inspiration, motivation and will have hidden talent to inspire masses in all the ways. Since the first house is Libra and the native can do a great presentation amongst public and masses. Libra zodiac will also fuel the individual with Venusian energy and as a entrepreneur on inspiration and motivation, the native will attract high class crowd. All zodiacs have special abilities and everyone has special talents to turn life’s table in one’s favour. Simple things are the need to understand one’s hidden talent through astrology or through one’s effort and finding ways to help others, will automatically lead one to successful ventures. Every individual will have a different chart, different position of planets, different virtues due to different degrees of planetary combinations and hence doing things, same as others is not the solution. So, when I landed at Zurich I said to my unknown friend, lets rejoice life through entrepreneurship and let’s make a better world by inspiring small business. Vedic Astrology is a tool and though there are many factors, which help in understanding more about entrepreneurship, a simple effort towards making one’s talent into entrepreneurship opportunities will activate one’s Vedic chart for finding oneself through small/large business. Lord Saturn is a Karmic Planet. In the history of humankind, lord Saturn is being prayed for years and have been worshipped due to fear, for getting strength or to clear ones Karma (deeds). Every person in this world are generating Karma each moment. For example, when any one thinks negative about any person, a Karma is generated. Some expostulate and often are enthralled to do negative things for others. However, it is said that The Evil you do Remains with You, The Good you Do comes Back To You. Lord Saturn is dreaded over centuries but if one studies in detail, then one analyses that Lord Saturn provides results as per ones past Karma (deeds) in this life or previous lives. The way it is done is unknown and very formidable to understand. Lord Saturn gives results very slowly and steadily. However, it depends on the type of house (from the Ascendant/Lagna) it is placed and the nakshatra it is moving. Given below is a chart of Ms Indira Gandhi as received from websites and it seems that She is born in Ashlesha Nakshatra with Saturn placed in Cancer. Let’s judge here as to What Saturn did for her by placing himself in the first house of Lagna or Ascendant. Saturn is the lord of her 7th house and 8th house from the ascendant. Now let us analyse Ashlesha Nakshatra, which is ruled by Mercury and its Lord is the Nagas (Serpent). So, Saturn sitting here makes Ms Indira Gandhi intelligent and through courage She was able to tackle her opponents. Here Saturn also makes one to cling to ones loved ones and She was not willing to leave her close associates from moving from her. Since Saturn is sitting in pada 2, Saturn is in full power which led her to be a great Mass Leader and a great orator since Ashlesha is ruled by Lord Mercury; the planet of communication. However, placement of Saturn made her work a lot and that led her to sleep for only few hours. Saturn here has some aspect in the 4th house, which separated her from her mother in the childhood days and Saturn’s position was also the reason for her mother not keeping well. Saturn also has aspects on her second house which led to problems in her immediate family. Tenth aspect of Saturn on her work life made her world famous with tenth lord in second house. However, Ashlesha is a difficult nakshatra and every planet situated here goes under major transformation. Hence, though she was a mass leader and there was major transformation in her career, she broke Congress to create Congress (I). These is a general prediction based on placement of Saturn, which is shared for better analysis on the subject. Coming back to our topic Retrograde movement of Saturn in Sagittarius, its going to increase opportunities for various sectors like Water, Agriculture, Tea, Coffee, Cold drinks etc. Here it is to be remembered that Saturn is moving backward in the celestial sky. In his milky way galaxy, it is observed that when Earth moves faster than any other planet, it seems that the planet is moving backwards and that is observed as retrograde motion. The retrograde motion of a planet is an optical illusion when Planet Earth passes slower moving planets further out in the orbit. Purva Ashadha Nakshatra is a nakshatra which is 13 degree 20 minutes to 26 degree and 40 minutes in Sagitatarius and is ruled by Lord Venus. The deity of this Nakshatra is Apas, the God of Water. So, when Saturn the karmic planet moves in backward position in this Karmic sign where Purva meaning first and Ashadha meaning not subdued, it indicates that these people irrespective of any challenges will move on. So, Saturn opens opportunities for these people now. On the other hand, Saturn the Karmic planet will test ones Karma here and by that, I mean Saturn will test one’s patience with anger. No matter, how much one provokes a native, it is wise to keep calm during this Saturn retrograde movement. Saturn’s retrograde will be good for Sagittarius moon sign natives (as per vedic astrology) as they can now explore possibilities and will be able to get back their inner strength, Capricorn moon sign natives may need to travel and work more hard during this time as they are in sade satti (7 and a half years of movement of Saturn over their natal moon). Aquarius Moon sign people will have to face some difficult situation, in which they may not be happy. Pisces Moon sign natives may have to work harder in offices, Aries Moon sign may have again some issues with father or father like figures or may take up some spiritual travels, Taurus moon sign people may face some challenges regarding ancestral property and may become busy with their health more, Gemini Moon sign people may have some issues with business partnership or may have some issues with ones spouse, Cancer moon sign people may face some struggles in their career, life and food. Leo Moon Sign people may focus more on their creativity and written abilities, Virgo Moon Sign people may feel like coming back to their own home or may become nostalgic. They may also have issues with one’s mother. Libra Moon sign natives may have some issues with their cousins, younger siblings or on joining any other bigger organizations, Scorpio Moon Sign people may have problems again on their income, job and family. These Moon Signs are based on Vedic Astrology and not by date of birth as per Western Astrology. Lord Saturn is likely to be in progressive on September 06, 2018 at 17.02 hrs.